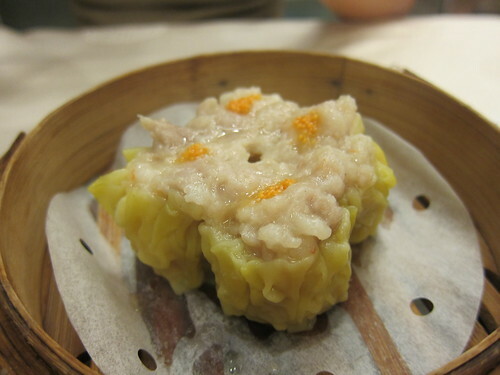 So yesterday, we said we would wake up early to be able to eat Yam Cha (Dimsum). We got up at around 7AM and was at the restaurant by 8AM. 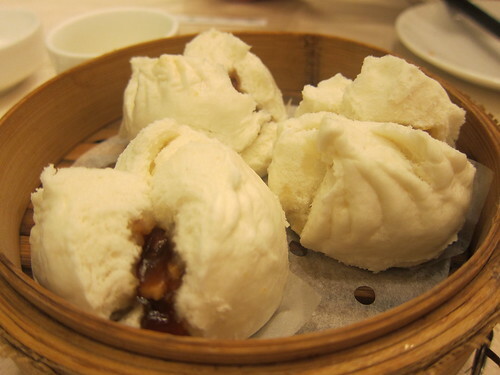 My brother ordered a variety of Dimsums – Shrimp Dumplings (Ha Kaw), Pork Siomai, Vegetable Dumpling and Pork Siopao. I ordered the egg tart (Tan Ta). 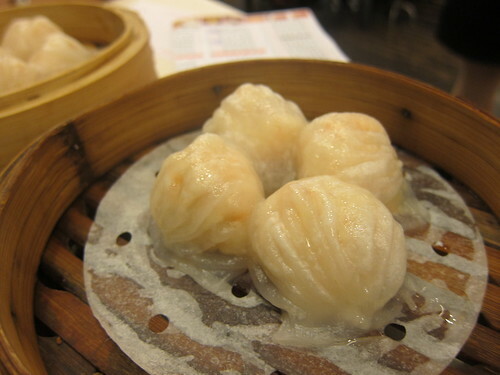 The dimsum variety here seems endless! 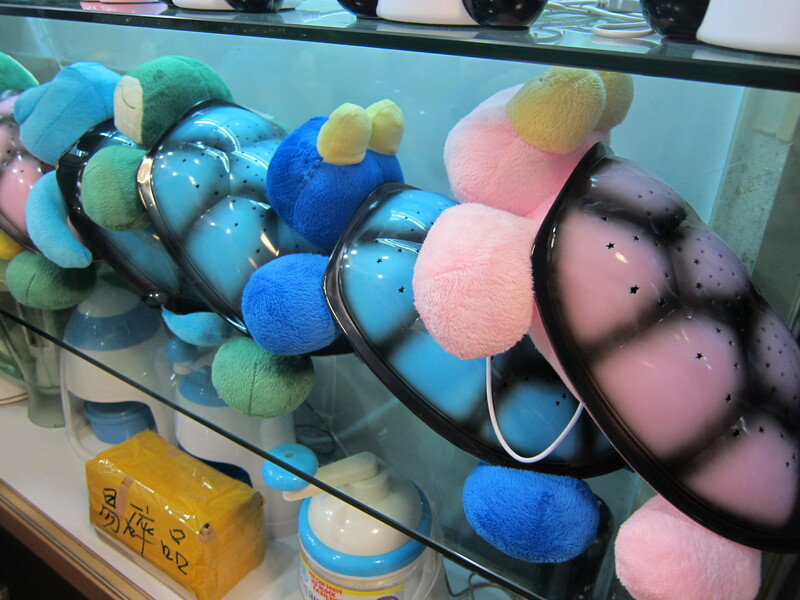 We spent a total of RMB73.00 for the above orders. I have noticed that food prices have increased. 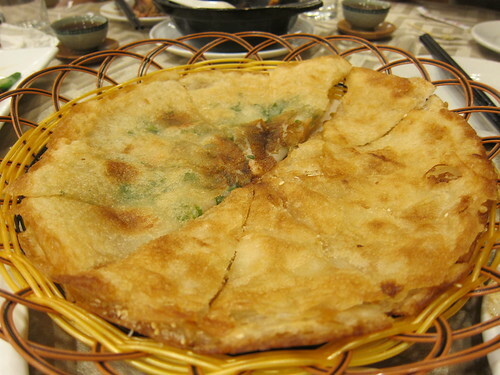 Our uncle who lives here in China also said that food prices have doubled since we were here a year ago. Exchange rate has gone up so exported items have a declining profit margin. 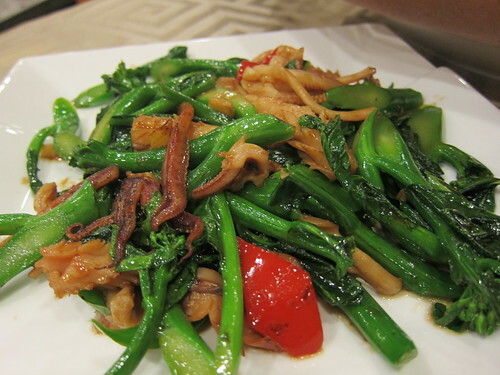 Here are pictures of what we ate. 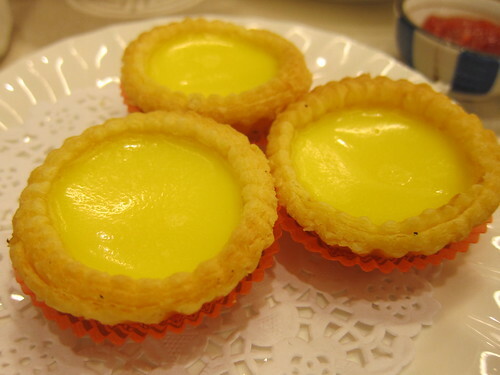 I especially love the Egg tart – they’re fluffy and light. After breakfast, we went around the market. I found this night light for Warren. When you turn it on, it lights up the ceiling and makes it look like a starry night. It also plays music. It is either battery operated or USB operated. I also bought a bunch of decal stickers for Warren’s room. Thinking of doing a car or animal themed room for him using the stickers. Will post once I am done with it. I am hoping to have the time to do it before Christmas. Otherwise, it gets shelved to next year. 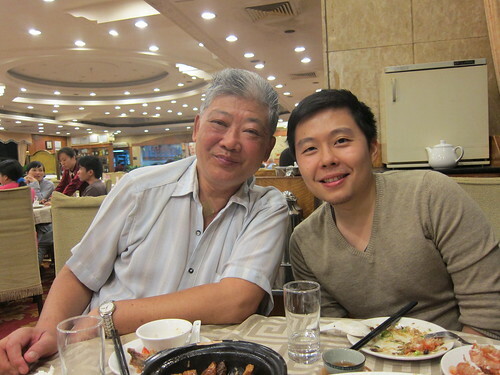 We met up with Uncle and Auntie Yap for dinner at 6PM. We went up to the Sky Restaurant just located at our hotel. This used to be the highest restaurant in the whole of Guangzhou. As usual, Uncle ordered a lot of food – Roasted Goose, Chicken, Beef in Ginger, Kai Lan Vegetables, Steamed Fish on Ginger, and Pok Chang. 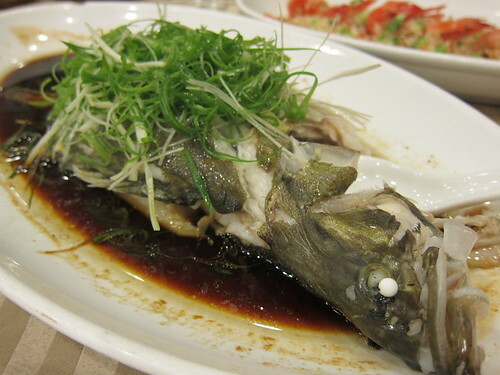 Food in Guangzhou is delicious and more affordable than Hongkong. 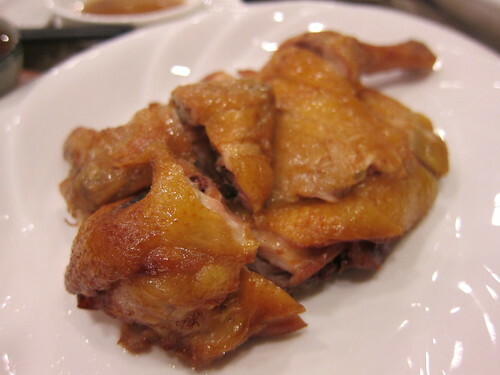 There’s a saying here in Guangzhou that if you eat a different food per day, you still will not be able to finish the different variations of food available in Guangzhou. 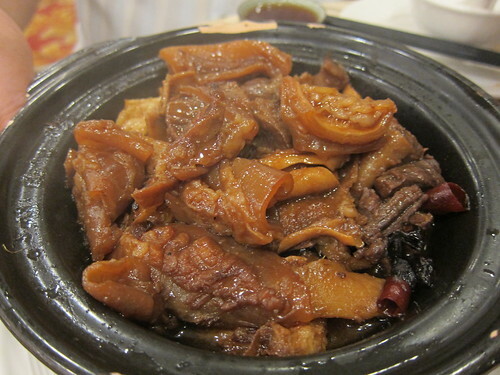 Guangzhou or Canton food is the origin of Hongkong food. 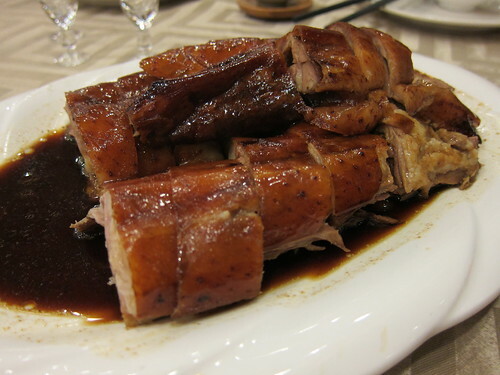 A lot of chefs in Hongkong are from Guangzhou or find their origins in this city. Hence, you can just imagine the quality of food here. This was what we had for dessert. Half of it is salty and the other half is sweet. I equally liked both. Not sure what this is made of though. It was nice to catch up with Uncle and Auntie. Auntie just came from her Europe trip where she toured France, Italy and Greece. I showed them pictures of Warren and she showed me pictures of her 2 grandsons, aged 7 years old and 1.5 years old. 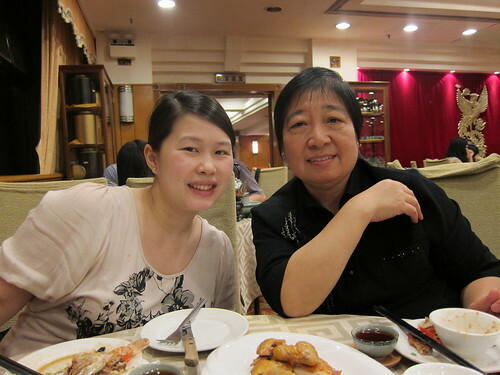 I found out that my Mandarin has improved a little as I am able to understand her stories and communicate with her. 🙂 Here are pictures we took with Uncle and Auntie. We ended the day with another foot massage at the hotel.